Holiday Package Deals | Maldives Promotion at Iru Fushi Beach & Spa Resort - 4 Days / 3 Nights Winter Explore from S$2410 with meal upgrade! 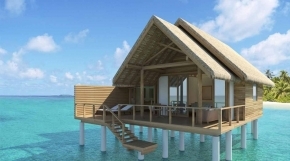 Maldives Promotion at Iru Fushi Beach & Spa Resort - 4 Days / 3 Nights Winter Explore from S$2410 with meal upgrade! ~ Free upgrade from Breakfast to Half Board at Iru Restaurant only (A-la carte credit not applicable). ~ Pool Beach Villa, Infinite Water Villa, Aqua Retreat, Hidden Retreat and Celebrity Retreat: Complimentary Nespresso Capsules. ~ This offer is only applicable for bookings in Beach Villa, Deluxe Beach Villa, Sunrise Deluxe Beach Villa and Deluxe Beach Villa with Pool categories. ~ Complimentary accommodation is offered to a maximum of 2 children (Beach Villa, Deluxe Beach Villa, Sunrise Deluxe Beach Villa and Deluxe Beach Villa with Pool) or of a maximum of three children (Pool beach Villa) under 12, while sharing with parent’s room. ~ Children under 12 years old will eat for free from Iru Restaurant buffet or kids menu, when accompanied by a paying parent. ~ Children under 12 years old will receive a 75% discount off all normal a la carte menu items (excluding children’s menu). Beverages are excluded. 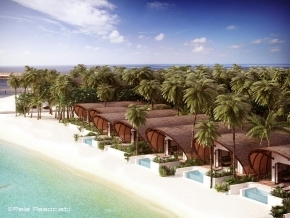 **Offer 1 : applicable for Beach Villa, Deluxe Beach Villa, Sunrise Deluxe Beach Villa, Deluxe Beach Villa with Pool, Water Villa and Horizon Water Villa and Sunset Horizon Water Villa. ~ Fruit Display & 1 bottle of Champagne in the villa upon arrival. ~ USD$50.00 Spa Credit per couple per stay to be used for the Spa treatment of guest’s choice. **Offer 2 : applicable for Superior Pool Beach Villa, Infinite Water Villa, Hidden Retreat, Aqua Retreat and Celebrity Retreat. ~ One 90 minutes "Iru Fishi Dreaming" couple signature treatment in the Spa. * Beach Villas, Deluxe Beach Villas, Sunrise Deluxe Beach Villas, Deluxe Beach Villas with Pool, Water Villas, Horizon Water Villas, Sunset Horizon Water Villas: maximum occupancy of 3 adults OR 2 adults and 1 child below 12. ~ Additional person (adult / child) based on existing bedding when sharing a room with two adults. ~ Child price valid only if sharing a room with two paying adults. ~ # Children below 12 are NOT RECOMMENDED in any of the water villa categories for safety reasons - Disclaimer will be required if granted. ~ Check in time: 2 PM and Check out time is at 12 noon; Where possible, early morning arrivals may be able to check in prior to 2pm and this is subject to availability. However to guarantee and early check in, pre registration of previous night’s accommodation is required. ~ Late check out is 50% of villa charge up to 2pm and 100% of villa charge afterwards 2pm and is subject to availability. ~ Baggage allowance on seaplane is 25kg and 5kg hand luggage. ~ Any excess baggage is chargeable and will have to be paid directly to the Seaplane company at USD$5 per 1 KG. ~ A surcharge of S$10 per person per sector applies for flight departing Singapore on Friday & Saturday and returning from Male on Sunday & Monday.